Every year when we plan our garden, tomatoes top the list of items we’re going to grow. They’re so versatile. Hubs and I enjoy them fresh on sandwiches and salads, but the bulk of what we grow gets canned for use throughout the rest of the year until we’re able to grow more the following year. Throughout the years, I’ve canned tomatoes six ways from Sunday. Plain sauce, spaghetti sauce, Rotel-style, stewed, diced, chili base, pizza sauce, and the list goes on and on. You’d think that for all the ways I’ve canned tomatoes, I’d be sick of them and wouldn’t want to grow another tomato plant. 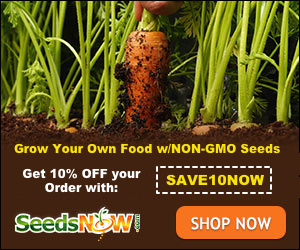 But each year, I grow another 25 plants at a minimum. Now I know what you’re thinking… Kate, it’s the middle of February. 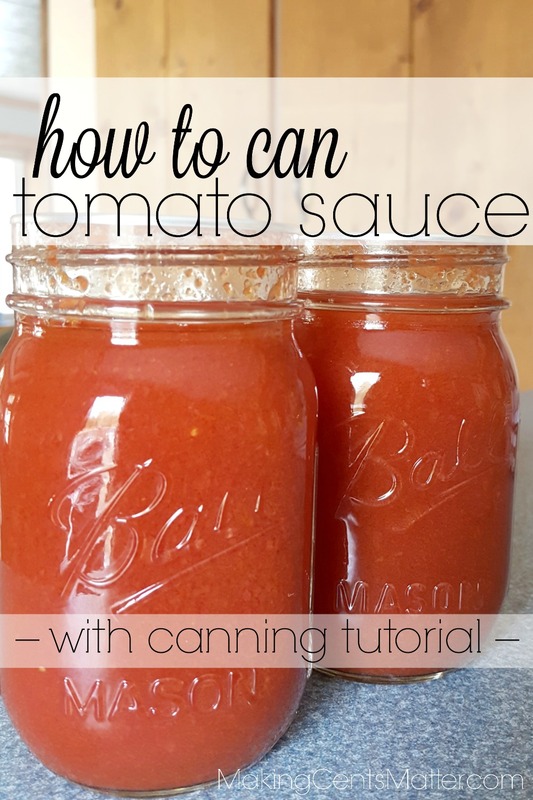 What on earth are you doing posting a tutorial on how to can tomato sauce for? I’m so glad you asked! This month I’ve been trying to get through my freezer. It was one of the goals of my meal plan for the month. 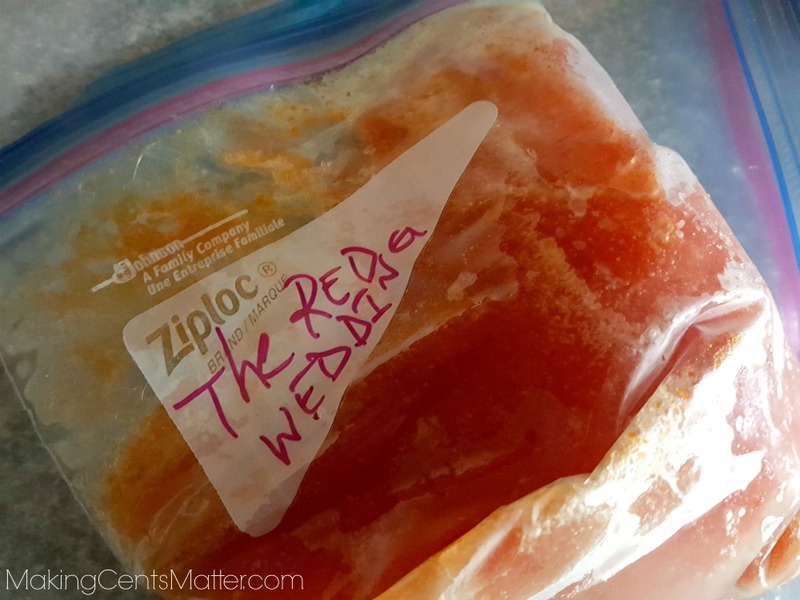 As I started digging through my freezer, I found a LOT of tomato puree from the fall, when we were smack dab in the middle of soccer season. 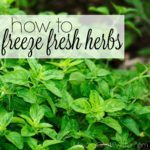 I didn’t have the time to cook it down and can it, so we froze it so it could be dealt with at a later time. 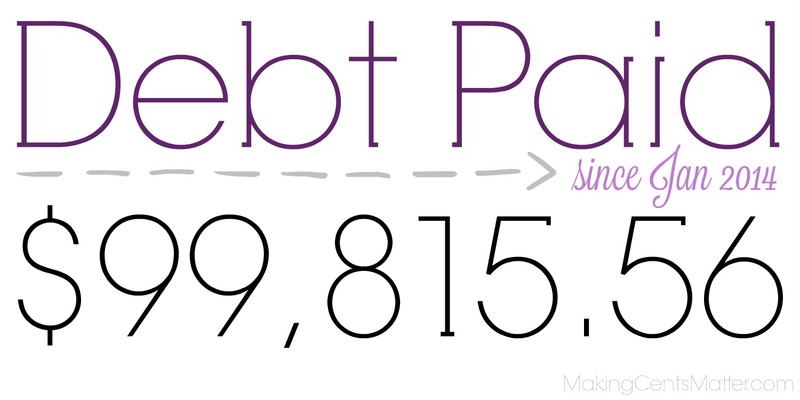 Guess what… it’s that time! Now, some of these steps we did in the summer, so I don’t have pictures of them, yet. As soon as the tomato harvest comes in this year, it’ll be updated. 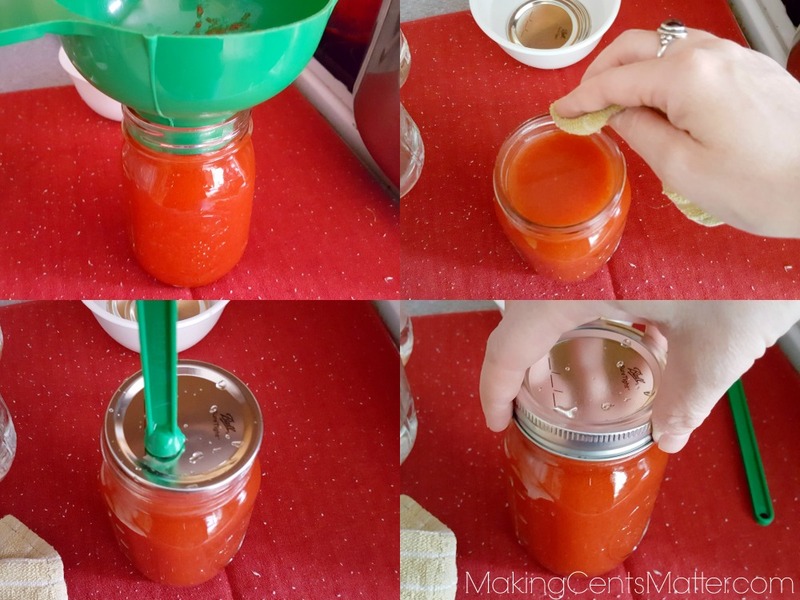 Here’s a list of what you’ll need for making and canning your own tomato sauce. ~ Waterbath Canning Kit — I’ve had this one* since 2010. It’s been through hell and back, including being dropped on my deck, and it’s still kicking! The canner itself holds up to 7 quarts, or 9 pints, and is a breeze to use. Plus, it comes with other items you’ll need, like the headspace tool, jar lifter and funnel, without having to purchase them separately. Every year I like to grow a variety of tomatoes. 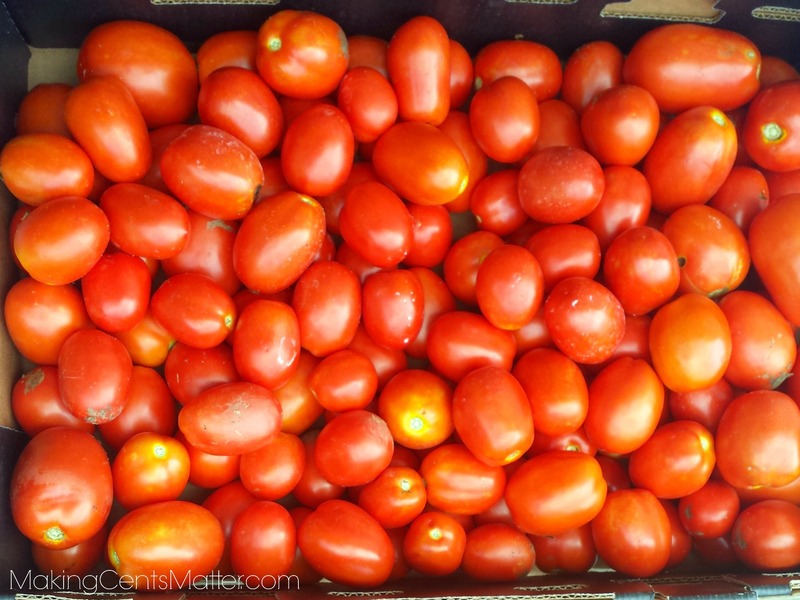 But the ones that are the best for canning as sauce are Romas*. They’re not as watery, and have a nice meaty texture. 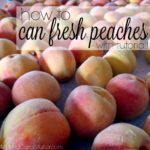 They’re not the best for eating fresh, but they hold up excellent through the whole preserving process. When I’m preserving tomatoes, I tend to gravitate towards peeling them, de-seeding them because it makes the tomatoes a little more versatile to deal with. When they’re peeled and de-seeded, I can preserve them as diced, or cook them down a bit before using my immersion blender* to puree them. But last year when we harvested tomatoes, we were in the middle of soccer season. 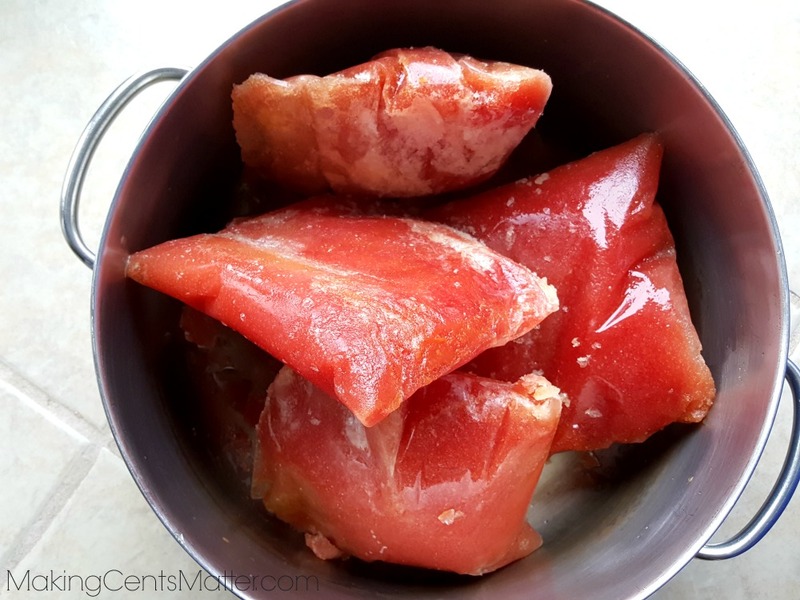 I didn’t have time for a whole lot, let alone spending most of a day in the kitchen at the stove dealing with the 50+ pounds of tomatoes sitting on my counter. So Hubs pulled out our food strainer*. It’s something that my parents gifted us a few years ago, and something he prefers to use. 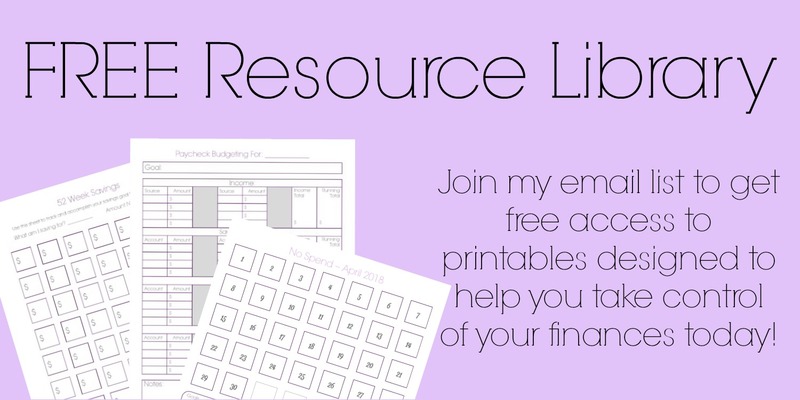 I forgot how simple it is to set up, and even simpler to use. Even the kids love helping us when it’s out! The best part about it is it does all the work for me. I don’t have to boil up water, peel the tomatoes, etc. I just wash them, drop them in the hopper, and crank the handle. Next thing you know, we’ve got fresh tomato puree coming out, and all that’s going in our compost bin is peels, stems and seeds. It’s ingenious! If you have the time, you can continue onto the next step. If you don’t, you’ll want to store all the puree somehow. When we’ve got enough puree, we store it in Ziploc Bags* until a less hectic time. We get so much puree using this method that we get a tad sick of writing “tomato puree” on the baggies. We’ve been known to get really creative naming the bags. Others I’ve found in our freezer have called it slop, goo, squishie and so on. Hey, when you’ve got tomatoes on every available surface in your kitchen and dining room, you get a lot of tomato puree. If you don’t want to use bags, you can store them in any freezer safe container you’d like, just remember to leave space for it to expand as it freezes. Whether you’re cooking it down right away, or from frozen, you’ll want to add the puree to your sauce pot. I like using my 12qt sauce pot* for this job. It gets a lot of use in this house! When I’m starting from frozen, I like to add a little water to the bottom to prevent it from sticking and burning. Slowly bring your puree to a boil, stirring occasionally to make sure it’s not sticking and burning to the bottom. Cook down your puree until it’s reduced by half. How long it takes honestly depends on how fast you’re simmering it. If I have time to babysit the pan, I can get away with simmering it a little hotter and stirring it more often. Other times I’ve got it over low heat as it slowly simmers all day, and I check on it every 30 minutes or so. 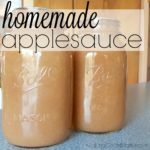 When your sauce is reduced by about a third, you can start prepping your jars and water bath canner. 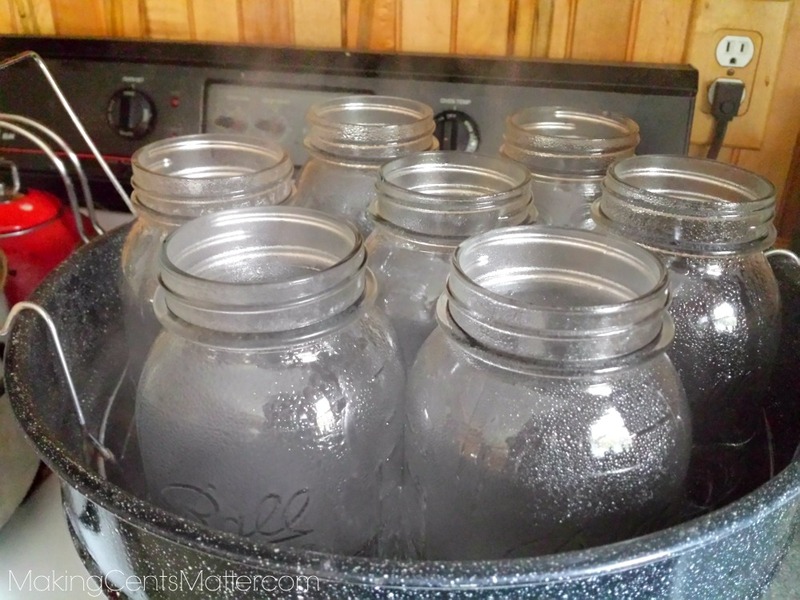 Wash your jars, lids, and rings with hot soapy water. 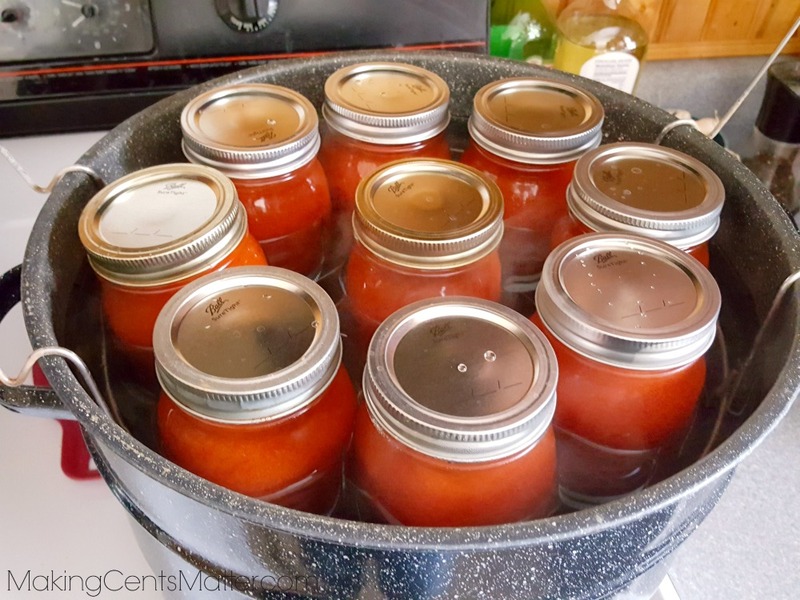 Fill the jars with boiling water, and sit on the rack of your canning jar to remain hot while the tomato sauce cooks down the rest of the way. Put your lids in a bowl of hot water to help soften the seals. As of recently, this isn’t a necessary step, but it does help the lid seal easier. I prefer to leave my sauce plain only because it makes it more versatile for any meal planning uses. 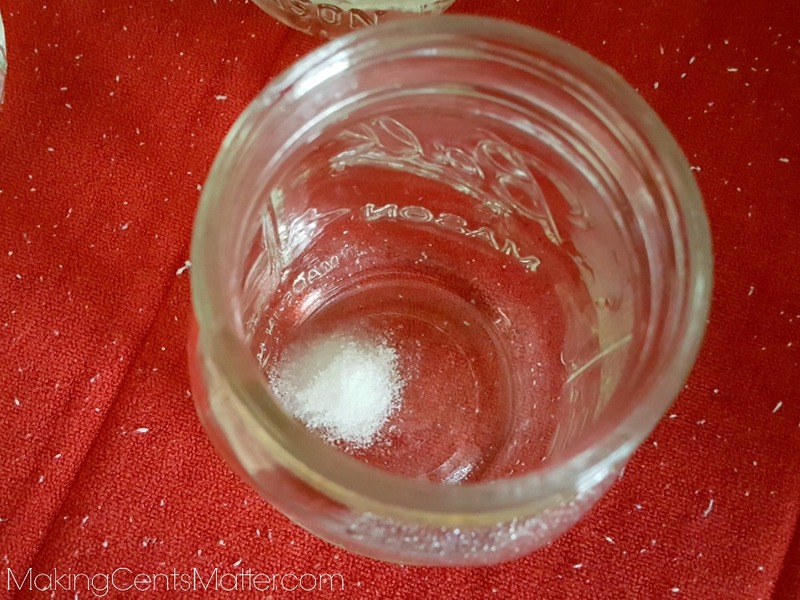 Working one jar at at time, add 1/4 teaspoon citric acid to each pint, or 1/2 teaspoon citric acid per quart. 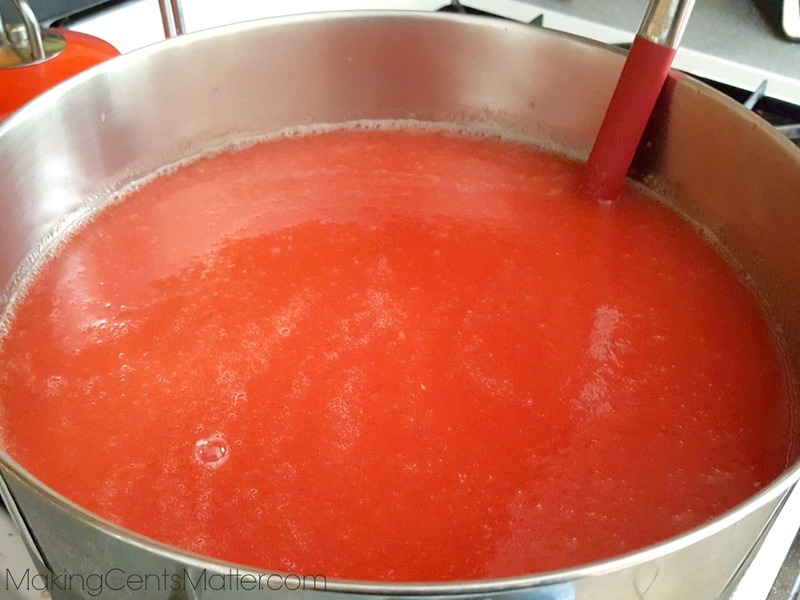 The tomatoes need a boost in acidity to be canned safely in a waterbath. Remove any air bubbles with the headspace tool, and wipe the rim with a damp cloth. This ensures that there is no food on the rim that may ruin the seal. Using the magnetic lid lifter, add the lids, and tighten with a ring until finger-tip tight. 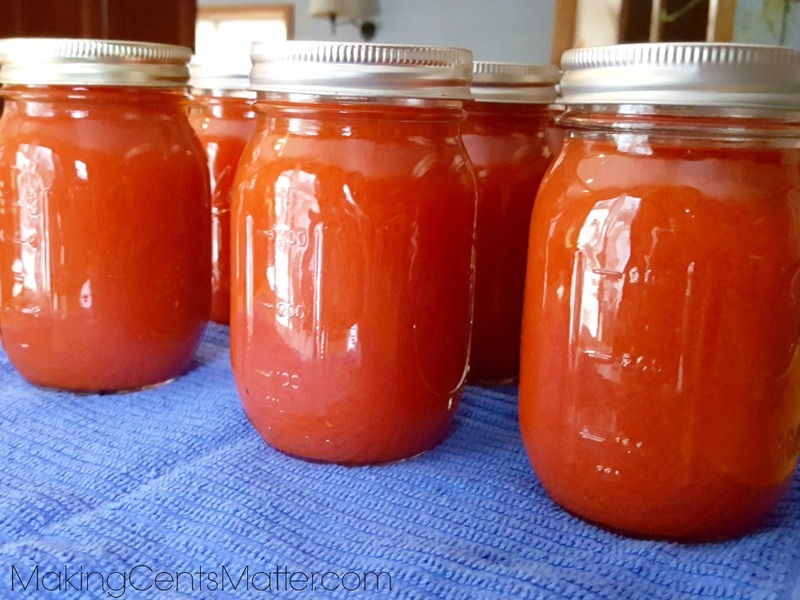 Add the jar to your canner, and repeat for the remaining jars. 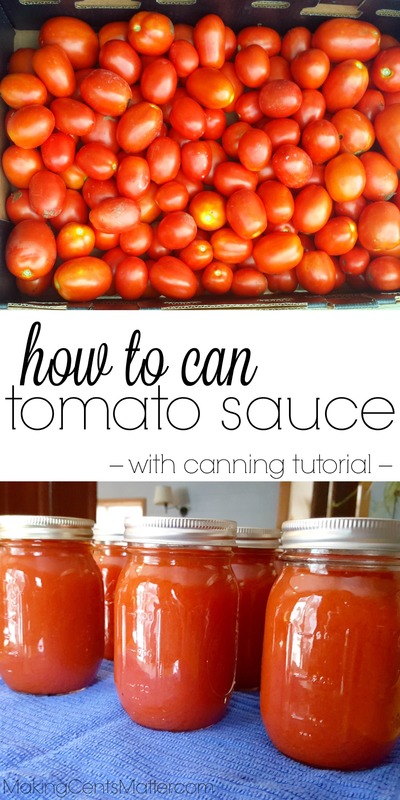 Once your jars are filled, lower the canning rack into the canner. Put the lid on, and bring to a full boil. Once at a full boil, process pints for 35 minutes and quarts for 40 minutes. Remember to adjust your cooking time for your altitude. If you are above 1,000 feet in elevation, adjust your processing time by adding 5 minutes. For example, our altitude is 1,350 feet, so I process my pints of tomato sauce for 40 minutes. If you were above 3,000 feet, you would process for 45 minutes, above 6,000 feet, you would process for 50 minutes, etc. This helps compensate for the difference in boiling temperature and air pressure at higher elevations compared to sea level. When your processing time is done, turn off the heat and remove the lid. 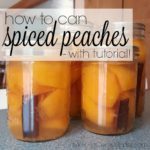 Allow the jars to sit for 5 minutes before you remove them from the canner. Let them sit undisturbed for 12 hours, then check the seal. To do this, push down in the center of the lid. If your lid is sealed, it should not give, or “pop”. To store, remove rings, label and store in a cool place until ready for use. 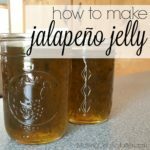 If your lid did give, or “pop”, you can either reprocess your jar with a new lid, or store in the fridge to use with the next week. Now you can sit back, relax, and enjoy the taste of fall fresh, homemade tomato sauce, and the savings it brings, all winter long! Enjoy! 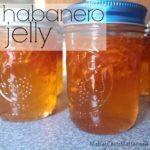 Looking for some more home preserving tutorials? Check these out!